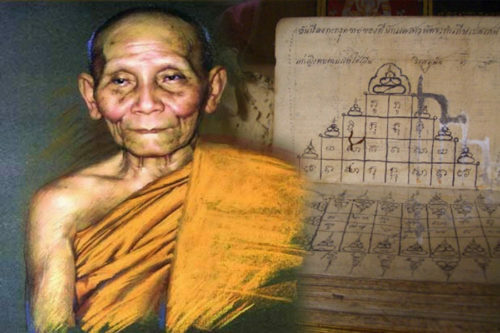 His Great Attainments, Humble and Diligent Practice, and Powerful Wicha Akom Magick have brought him to Legendary Status in the Annals of History of Thai Buddhism, and of Buddhist Amulets. 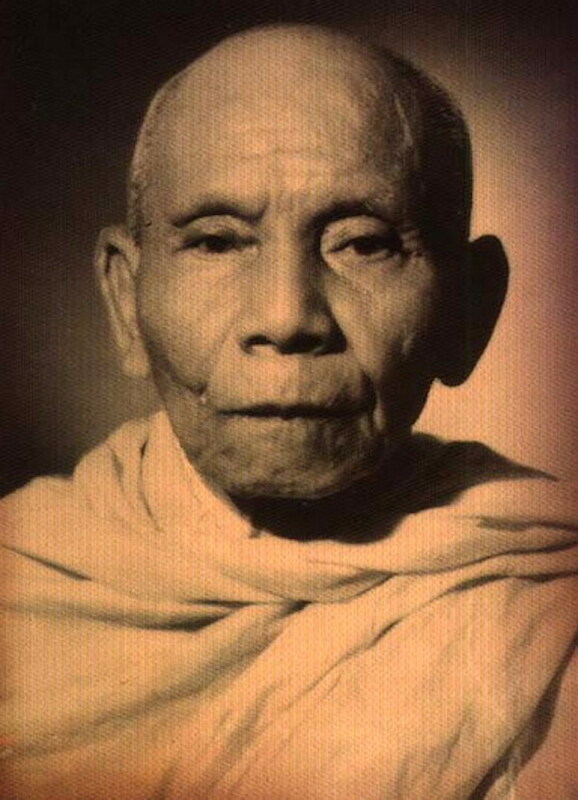 Por Tan Klai Wajasit, was the Abbot of Wat Suan Khan in Nakorn Sri Tammarat, was the Abbot of Wat Suan Khan in Nakorn Sri Tammarat. 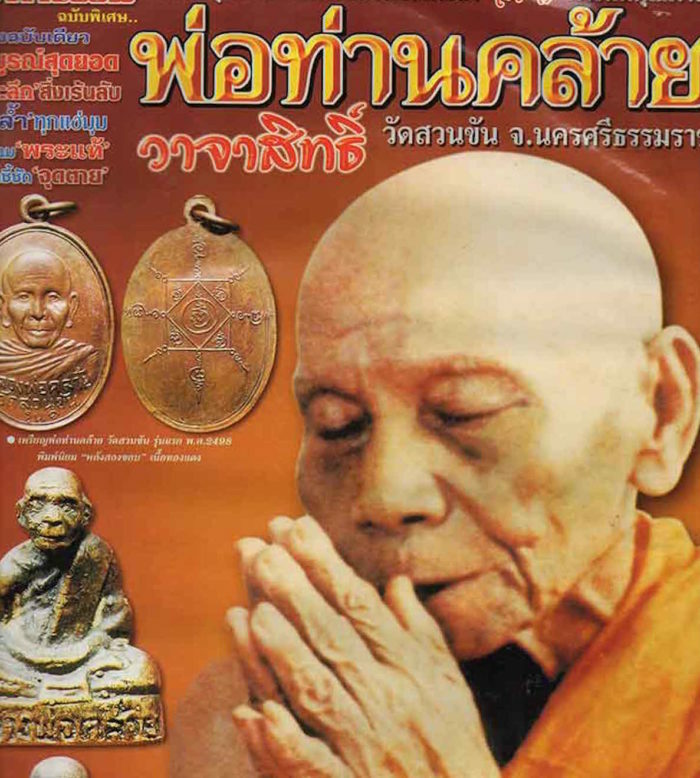 Por Tan Klai was one of South Thailands most revered monks. He was, and remains posthumously, one of the most important Khao Or Sorcery lineage masters of the Southern Khao Or Tradition, along with the great Luang Phu Tim (Wat Chang Hai), Ajarn Iad and Ajarn Tong Tao (Wat Khao Or) Luang Por Kong (Wat Ban Suan) and of course, the Greatest Master of all, Luang Por Tuad of Wat Chang Hai. 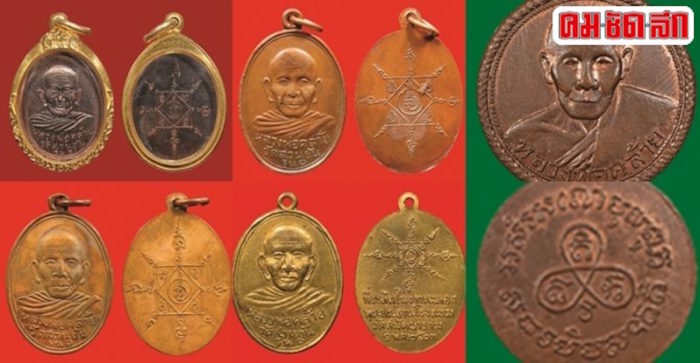 Amulets by Por Tan Klai are very rare, and jealously guarded by devotees of this Legendary Master monk, and are, extremely rare to come by, and only seen in circulation on very rare occasions. This is due to the massive worldwide following of Devotees, who Revere this great monk, and the fact that most of his amulets already found their rightful owners decades ago. Por Tan Klai is most highly revered in the South of Thailand as one of the Great Khao Or Masters of the Dtamnak Dtak Sila Khao Or Sorcery School Lineage, but gained Devotees on a National scale due to the fact he was often called upon to attend blessing ceremonies around the country, and for the many stories of miracles associated with his amulets which have occurred over the decades.